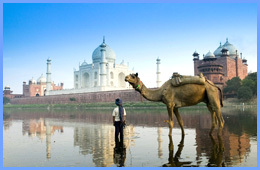 There are bigger tour itineraries for those who can devote more time and relish the beauty of India to the utmost. Go for the Lure of Jungle-Wildlife tour which takes up 20 Nights and 21 Days of your tour. if you are a golf lover then book the Golf in India tour package and travel to the golf destinations in India like Delhi, Chandigarh, Shimla, Calcutta, Madras, Coimbatore, Ooty, Bangalore and Mumbai. Great Himalayan Wonder-Trekking in Himalayas, Temple Tour of South India and the Mystic Trail are other tour packages available here.